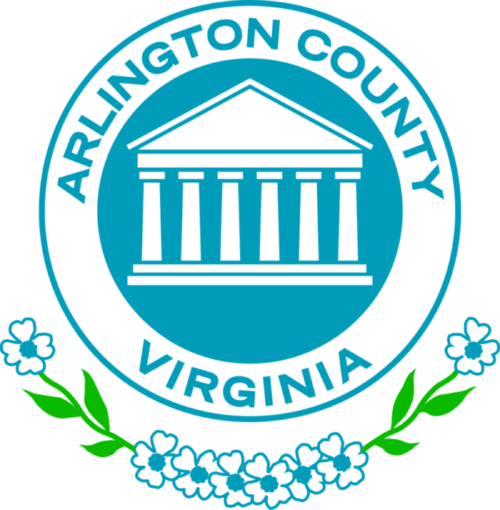 The Arlington County Board today approved a $3.4 billion combined County and Schools 10-year Capital Improvement Plan (CIP) for fiscal years 2019-2028. The Board’s action culminated months of public engagement and review of the proposed budget presented in May by the County Manager. The Board accepted the Manager’s recommendation to defer some projects included in previous CIPs, and reduce funding for others. A new regional funding agreement for Metro redirected significant revenues — approximately $230 million over 10 years — away from local and regional transportation projects. The Board also accepted the Manager’s recommendation to scale back funding to redevelop the County’s recently acquired Buck and Carlin Springs properties, to renovate the County’s Courts/Police building, and to fund Neighborhood Conservation projects. “Although there are few new capital improvement projects, we were able to meet our commitment to Metro, which is vital to the health of this County, and to our public schools, which will continue to rank among the best in the nation and continue to accommodate growth in enrollment. We also will be able to fund core infrastructure needs, while preserving Arlington’s sound financial outlook,” Cristol said. The Board voted unanimously to adopt the CIP, which is updated every two years. In a related action, the Board voted unanimously to direct the County Manager to form an ad hoc working group this fall to analyze, review and possibly restructure the County’s long-standing Neighborhood Conservation Program. A variety of neighborhood infrastructure projects, including streets, curb and gutter and sidewalk improvements, are funded through this program, launched in 1964 as a grass-roots approach to neighborhood safety improvements and beautification. The working group will present findings and recommendations to the Manager by September 30, 2019, in time to inform the next CIP in FY 2021. The Board reallocated funds, mostly from within the parks program, allowing the County to continue strategic park land acquisitions in keeping with the goals of the soon-to-be-adopted Parks Master Plan. The Board also directed the Manager to shift a total of $230,000 to fund the development of preliminary design and engineering plans for emergency vehicle access and a possible bicycle-pedestrian path on the Army Navy Country Club access road. 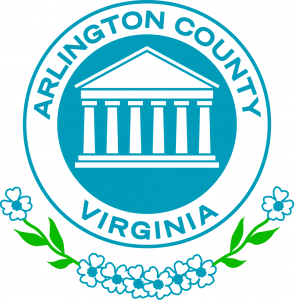 The funds were shifted from funding the Manager proposed for the County’s WALK Arlington and Outside Major Corridors elements of the CIP in Fiscal Years 2019 – 2021. The access road preliminary design and engineering study will determine whether such a path is feasible, requirements and implications for the project of the Americans with Disabilities Act, and a refined cost estimate. The Board directed the Manager and staff to enhance the communications and outreach plan for educating and informing the public about the County’s stormwater program and flood reduction projects, and actions property owners may take to reduce their exposure and risk to flooding impacts. For details on the adopted CIP, visit the County website. The Arlington Public Schools Board adopted the Schools CIP on June 16. Arlington Public Schools: Support for APS’s $614 million plan to meet the challenge of growing enrollment, including $103 million for its 2018 referenda request. Metro and Transportation: $1.6 billion in investments, including the County’s continued $54 million commitment to Metro over the next two years. Fire Station 8: $14 million to fund construction for a new two-story fire station at 4843 Lee Highway to meet Fire and Emergency Medical Service program needs. Neighborhood Conservation: Funding reduced from $60 million in last CIP to $37 million. The Board included an additional $1 million, above the Manager’s proposed $36 million, at CIP adoption. Enterprise Information Technology – $50 million to maintain and replace the County’s information technology and equipment to provide a reliable and secure environment. Public Safety Information Technology – $76 million to refresh or replace existing public safety systems in an operable and responsive way. Other equipment – $765,000 to maintain department specific operations and services. The CIP focuses on maintaining parks and facilities in a state of good repair. Core infrastructure will be maintained in a reliable, serviceable condition. Assets will be protected from premature failure and unnecessary risks and losses will be reduced. $27 million in first two years will maintain current paving condition index (PCI). The adopted CIP is within the financial and debt management policies adopted by the Board, policies that are key to maintaining Arlington’s triple-AAA bond rating. The County is one of a handful of counties across the nation that maintain a triple-AAA bond rating, ensuring it access to the lowest interest rates when borrowing money. Arlington updates its Capital Improvement Plan every two years. The plan outlines the County’s long range capital investment objectives. The adopted CIP includes referenda amounts requested by the Arlington Public Schools Board that are put before voters in November. The County Board adopted changes to the filing timeline and eligibility requirements for the Tax Relief Program.